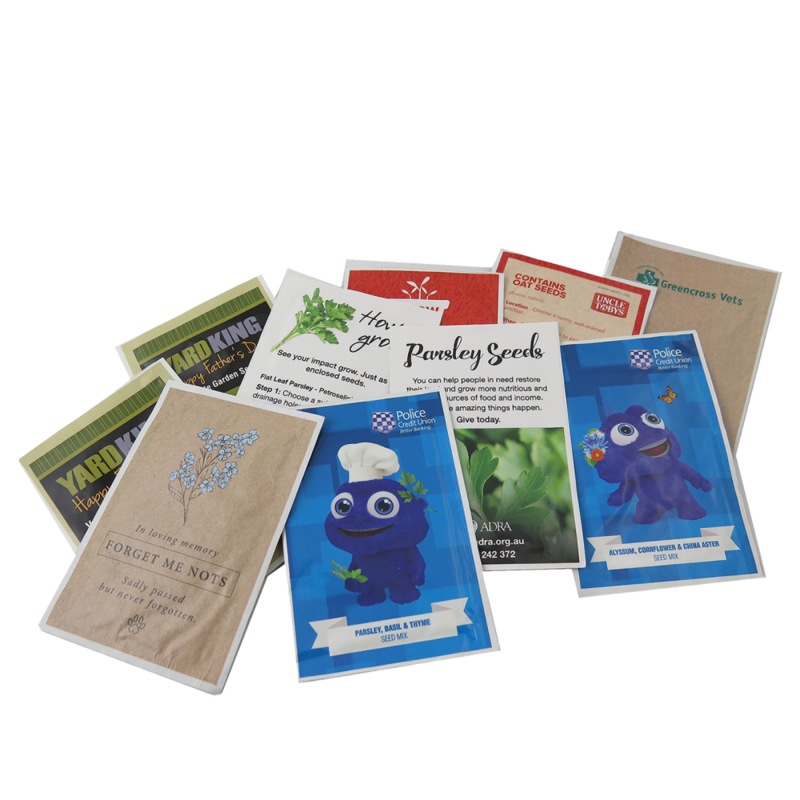 Seedsticks Seed Satchets are high quality custom printed foil sachets with your chosen seed variety enclosed. This product is our low cost alternative for high volume orders with a more extensive seed variety selection. Each order has the option of full colour print to the outer packaging and choice of seed variety from our website. Growing instructions, common name, botanical name and expected germination time of seeds appear on all our products. Pack size is 100mm x 70mm. Minimum order quantity is 2,000.